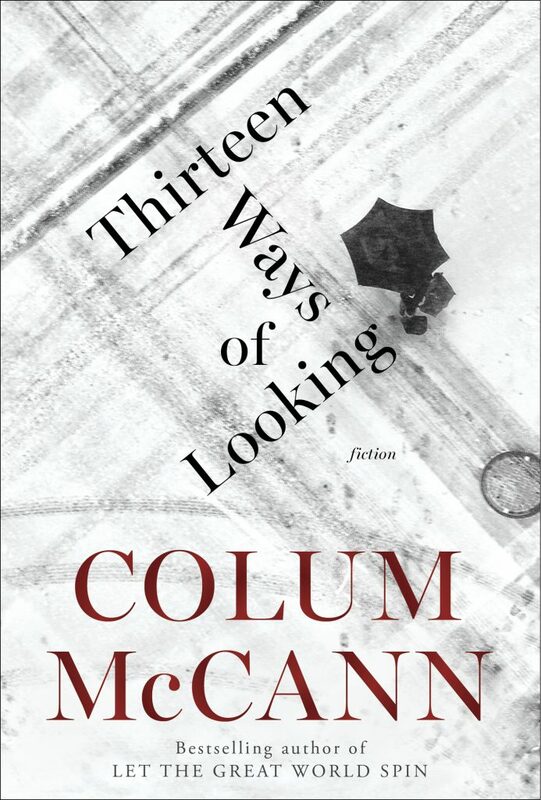 The first words we read in Colum McCann’s 2015 collection of stories are Wallace Stevens’s: “Among twenty snowy mountains / The only moving thing / Was the eye of the blackbird.” Stevens’s poem “Thirteen Ways of Looking at a Blackbird” provides the epigraphs for each of the short chapters in McCann’s title story, and an oblique way in to understanding its philosophical intricacies. Its haiku-like fragments dictate the reader’s focus in ways that are continually refreshing and unexpected: “The river is moving,” he writes; “The blackbird must be flying.” “When the blackbird flew out of sight / It marked the edge / Of one of many circles.” In the same way that Stevens’s blackbird is often just glimpsed, the tiniest of details in the vastness of nature, so McCann draws attention to the poetic detail at the edge of the frame, the impulse or act that might hold the key to explaining a significant event. The event in question is the apparently random murder of an 82-year-old judge yards from his home on the Upper East Side. The story, suspended between the judge’s interior life and the geometry of his murder, captured obliquely by a single security camera, explores the quantum interplay of motivation, behavior, and action. The detectives slide back on the digital timeline to the moment when Mendelssohn steps out into the snowstorm: there is something of the Greek epic about it, the old gray man with his walking stick, venturing out, into the snow, out of frame and away, like an ancient word stepping off a page. Here, Mendelssohn is powerfully transfigured. He is both Stevens’s blackbird and the answer to the Sphinx’s riddle; he’s also a metaphor for the written word, which at once animates and deadens. “Thirteen Ways” may be propelled by the conventions of crime fiction but it’s memorable because of the imaginative power of its execution. The three stories that follow are shorter but no less memorable. In “What Time Is It Now, Where You Are?” (also in thirteen parts), a writer struggles with a New Year’s Eve story commission. But as his imagination alights on certain images — “a soldier somewhere far away, a young American, say, in a distant land” — the muse takes flight and he draws out his story as a series of impulses and questions. “He could find himself, say, in a barracks on New Year’s Eve in Afghanistan, the simple notion of a Marine — let’s say a young woman, slightly exhausted by war, sitting on the edge of a valley, in the cold…” The writer’s Marine, Sandi, makes a phone call to her lover and son in South Carolina: “What will happen if they argue once again? Will Sandi describe the bunker where she sits? Will she try to articulate the darkness?” As the story proceeds, its boundaries are felt out, the writer’s mission defined. Like the narrative consciousness of “Thirteen Ways”, the narrator of “What Time Is It Now” is faced with the task of interrogating the essentially unknowable and worrying the mysteries of human character. In “Sh’khol”, this task passes to Rebecca, a middle-aged translator whose adopted teenage son is not only deaf but living with the behavioral challenges associated with fetal alcohol syndrome. When she buys him a wetsuit for Christmas, little does she imagine that he might disappear in it the next day. Finally, in “Treaty”, an elderly nun recognizes on television the man who raped her decades previously and travels to London to find him. In a neat return to the camera’s-eye view from “Thirteen Ways”, it’s the neutral yet threatening presence of CCTV in the final scene of “Treaty” that permits a moment of grace between McCann’s nun and the Muslim shopkeeper who both does and does not see her confrontation with her attacker. This is not, however, where the book ends. For those who weren’t aware of what happened, McCann repeats the story of his own assault, in 2014, in New Haven and his subsequent testimony in his attacker’s trial. “In the end,” he writes, “every word we write is autobiographical, perhaps most especially when we attempt to avoid the autobiographical.” The scenes of violence and threat in “Thirteen Ways”, the hovering presence of trauma at the edges of each story, are lent additional authority, perhaps meaning, by this final author’s note. It’s an extra-textual touch that provides a fitting conclusion to a cycle of stories about the limits of narrative and the importance of bearing witness. 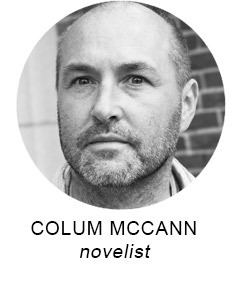 You can see Colum McCann at House of SpeakEasy’s Seriously Entertaining event, This Is Not the End, at Joe’s Pub at The Public Theater on September 20, 2016. Buy tickets here.